Terms like iconic and legendary get tossed about a bit too much these days. However, in this case, both have never been more fitting. A limited remake of the adidas Predator Mania champagne. We’ll toast to that! The time has come for adidas to unleash their biggest and most anticipated launch of 2017. Ever since James Rodriguez was spotted training in this boot last December, the cat has very much been out of the bag on this boot and it has not been a question of if this was happening, but rather when. The prospect of a remake of the adidas Predator Mania champagne is one that instantly whet the appetite of boot collectors and anyone who played football in iconic and legendary football boot silo. This is definitely an emotional launch for adidas fans, as the champagne colourway is definitely one of the most memorable for the ‘People’s Predator’. 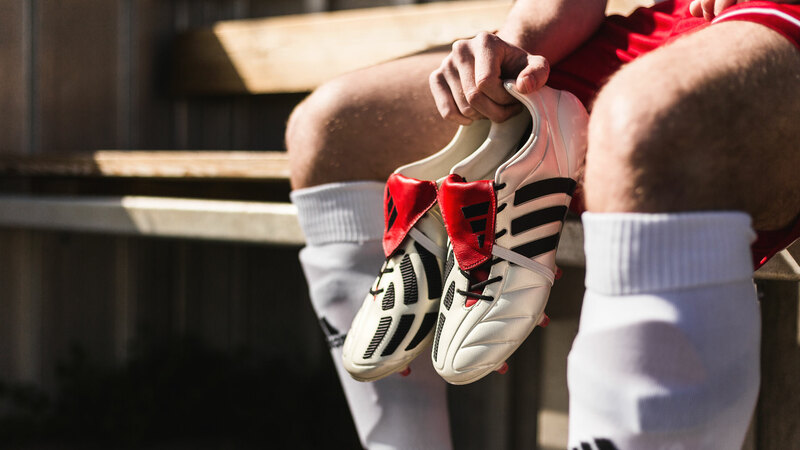 Famously worn by David Beckham in the late nineties, the cream and red Predator is one we have all dreamed of wearing, while pinging freekicks into the top bins. Now we all get another chance to relive that dream, with adidas celebrating the boot as a part of the ‘champagne pack’ and releasing a very limited stock of modern remakes. Have a look at our entire adidas football boots collection. 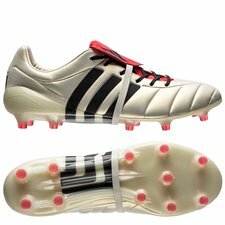 This is actually not the first time adidas have re-released old Predators to honour the silos immense heritage. In 2014, we saw the Revenge Pack, which introduced a similar remake of the Mania boot. A lot has happened in terms of technology in the last three years though and this 2017 reborn Mania therefore has a few modifications compared to the Revenge Pack version. The modern Sprintframe is one of these, as well as the material used for the upper, elements and the iconic red tongue. The adidas Predator Mania remake ‘champagne pack’ is a part of the larger Limited Collection ‘champagne pack’. Read more about the other boots in the pack here.